I don’t know how many authors have this difficulty, but I have trouble answering two basic questions – How many books have I written and what do I write about? I know, I know, neither of those should be difficult. And an author should definitely know the answers to those. But I honestly struggle with both of those questions. Why the difficulty? Well, as you can see from the very incomplete and therefore still somewhat short list of topics to the right side of the page – I have written on a fairly diverse list of topics. I’ve heard all the rhetoric that an author needs to have a platform – that an author needs to focus, or her readers will get confused. But it’s too late, I haven’t focused in one area, there are just too many things I enjoy learning about. I love to write! I love to research! And I love to teach! 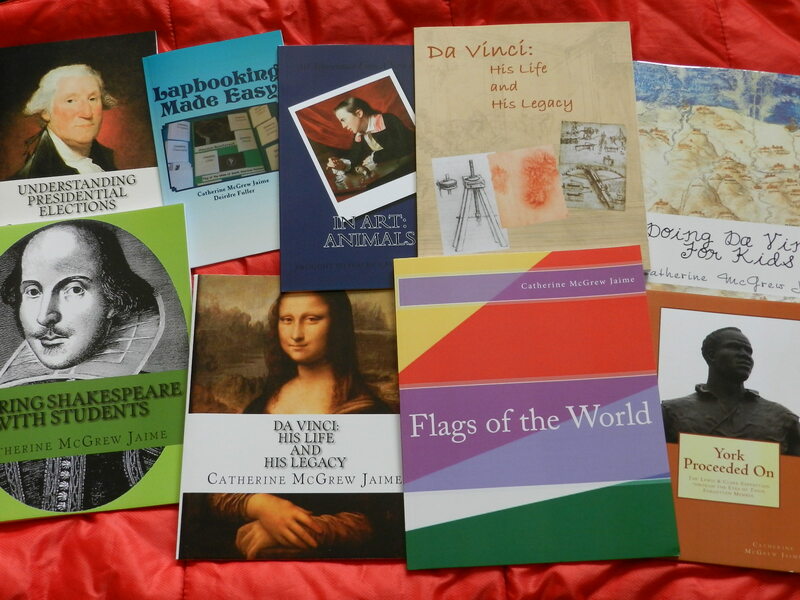 Writing books gives me an opportunity to combine all those interests, and to share my work with others. The first books I wrote were non-fiction, and more than 20 years later, I’m still writing on the topics that I’m passionate about. My first book was a history of Wuerzburg, Germany. Ten years later I started several others, including Organized Ramblings and Sharing Shakespeare with Students. I definitely lean towards history topics, with some government and travel thrown in for good measure! On the side you can see links to specific category pages: Art Appreciation, Biblical Resources, Leonardo da Vinci, Shakespeare, Lewis and Clark, U.S. History, U.S. Govt and Economics, Travel Fun, Homeschooling Helps, Holy Days and Holidays, Self-Publishing, and there are others still to come: World History, Historical Fiction, Younger Students. You can see the growing list of my paperbacks (and Kindle books) on my Author’s Page on Amazon and the largest collection of my e-books (as pdf’s) on CurrClick. I also sell a variety of books for e-book readers on Apple, Amazon, Smashwords, Diesel E-books and Barnes and Noble (to name just a handful)!